James picked an amazing track list for his program, along with a very epic light setting. Darkwave DJ and producer Perturbator (AKA James Kent) derives influence from cyberpunk literature, games, art and cinema to pour into his sublime darkwave tracks. 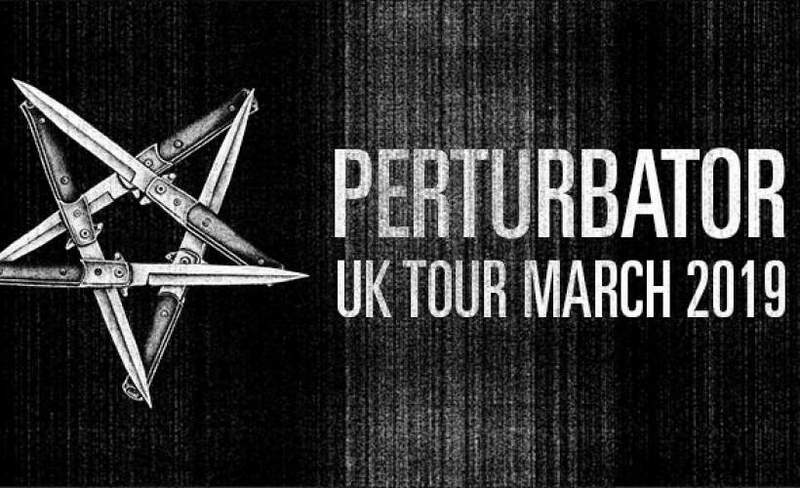 Kent makes his way to the UK to play Perturbator gigs at Manchester Academy 2 and O2 Academy Islington in London during March 2019. Gigantic is famed for having the very best selection and we are very excited to be able to offer you Perturbator tickets. Placing your booking is made easy as you can access our site 24/7 using a smartphone, tablet or computer whether you are relaxing at home or whilst busy and on the go. Speaking of busy, it is so easy to forget when your favourite act goes on sale and with the demand so high for Perturbator gig tickets, you need to be ready for their release. Make sure you set a personal reminder with Gigantic which will alert you with a text message or an email just before they become available at 12:00 on Wednesday 19th of September. A former black metal guitarist who switched to dark synthwave, James Kent aka Perturbator got his genre-free attitude toward music from his parents, one of them being rock critic Nick Kent. He was given a Pantera album at the age of three, and a guitar at the age of 11. After learning Tool and Slayer riffs on the guitar, he began writing his own music, but his parent’s synth collection was also calling, and the younger Kent took to the keyboards with both metal and cyberpunk attitudes. He debuted his sound with the 2012 EP Night Driving Avenger while two albums, Terror 404 and I Am the Night, arrived that same year. The combination of retro-techno and aggression attracted the developers of the campy and violent video game Hotline Miami, who added Perturbator to contribute to the 2012 game's soundtrack. The Sexualizer EP followed in 2013 and was subsequently reissued by the Finnish extreme metal label Blood Music. The label also issued Perturbator's concept LP Dangerous Days in 2014. Work on the Hotline Miami 2: Wrong Number soundtrack followed in 2015, then Dangerous Days' story of a religion using technology to persuade followers was continued on the 2016 concept album The Uncanny Valley. The following year, Kent issued the EP New Model. At Gigantic, we are passionate about music and so we are pleased to have Perturbator concert tickets added to our superb selection. But with only limited amounts on sale, you need to act fast and book yours before our limited supplies all sell out. Award winning ticket vendor Gigantic has a customer services team ready and waiting for your every enquiry, making us the right place to come whenever you are booking for your big night out!